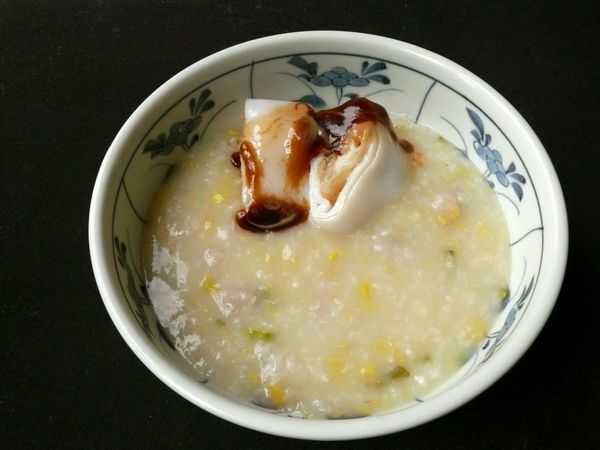 Congee is so good, as you probably know. If you’re no stranger to it, you probably enjoy congee with fried dough fritters for dipping, yes? But have you had the fritters wrapped in rice noodles? They’re my favourite. They usually come with sesame paste and hoisin sauce for an added sweetness and umami hit. It’s almost too much of a good thing–the kind I eat too fast, too greedily because I want to taste everything again again again! Sometimes, sometimes, I even pass up chili oil to enjoy it just as pictured above–that should tell you something about how good an experience this is. Next Articledo you want these spoons? OMG! I haven’t had this in years! Suzanne used to take me to a restaurant in Agingcourt that served fritters wrapped in rice noodles with congee! So delicious. Do you have a recipe? hi andrew! sue and i were talking about congee and the place where i got this and then she mentioned she went there with you and your family! same place, too funny.